Beauty Factory is one of South Africa’s favourite beauty stores when it comes to wonderful skin and hair care products, cosmetics and more. View the latest Beauty Factory catalogue for promotions. If you're looking for excellent beauty skincare products and treatments that you can trust, then Beauty Factory is one of the stores you absolutely have to visit. The Beauty Factory price list is vast and product brands include but are not limited to Freshly Made for You, Earthbound, Tissue Oil, ZA Republik, Originals and Country Garden to name a few. For specials or a chance to save the next time you shop at Beauty Factory, make sure that you have a look at the latest Beauty Factory catalogue to enjoy money saving deals. Beauty Factory stores are located nationwide and has a convenient online store where you can enjoy all your online shopping from the comfort of your home, or purchase the product range from selected retail outlets. 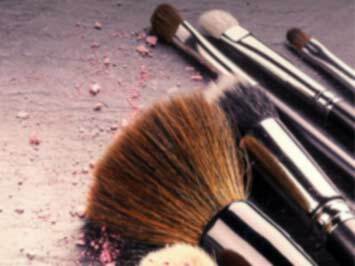 You can use the online Beauty Factory store locator to find a branch nearest to you. Beauty Factory was established to help customers have access to affordable, quality beauty products, over a vast range. The company was established during 2011 by one of South Africa's largest personal care manufacturers called Le-Sel Research and has grown with a total of 10 stores located nationwide. Beauty Factory brings you a variety of more than 300 products in categories including but not limited to bath, shower,essential oils and overall beauty care. The company brings shoppers exceptional market competitive prices because most products are made within Gauteng South Africa. Beauty Factory believes that you should take time to take care of yourself, this is why you can shop from over 300 different products all ranging in various beauty care categories. Beauty Factory stores are located nationwide, so use the Beauty Factory store locator which can be found online to find a branch closest to you. There are more than 300 product brands available in-store and via the Beauty Factory online store including the likes of Earthbound, ZA Republik, Originals, Ingredientz, and Country Garden to name a few. You can enjoy the likes of the online store to simply sit back and purchase your favourite brands available from the comfort of your home. Beauty Factory products is also available at selected retail stores like Edgars and Pick n Pay. For enquiries and information contact Beauty factory head office and for promotions browse the latest Beauty Factory catalogue. Do you want to receive more Beauty Factory deals by email?